Every individual, regardless of gender, aspire for beautiful flawless skin. However, exposure to environmental factors, infections, underlying health disorders and hormonal changes increase the risk of skin disorders. 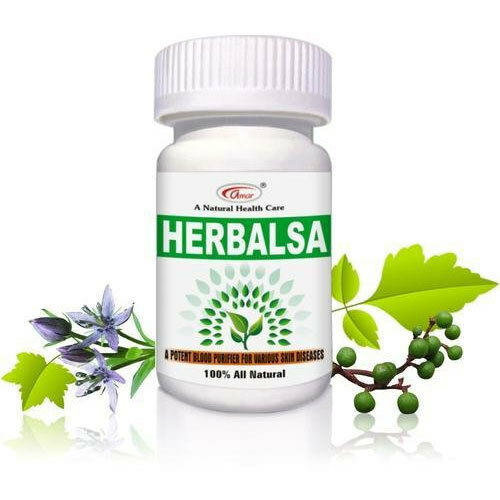 Herbalsa Capsule is a unique herbal blood purifier that can be used for all types of skin diseases. It detoxifies the blood, removes obstructions in the blood stream, dissolves abnormal growths in the tissues also relieves pain caused by inflammation such as a acne. Reduces acne, pimples and other skin eruptions. Helps in treating dermatitis, Eczema and chronic urticaria. Restores the luster of the skin.